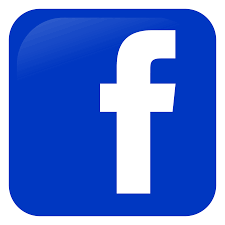 REGISTER with PTA SOCIAL from this page. 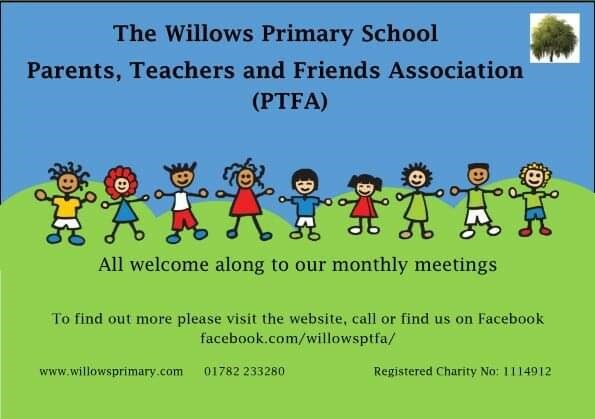 The PTFA is a registered charity (1114912) which was first started at The Willows in 2006. The charity is run solely by volunteers who are parents, teachers, grandparents, or members of the local community (our friends). Our members work together to benefit all of the children at The Willows Primary School. All parents of children at The Willows are automatic members of the PTFA, along with members of staff employed at the school. EVERYONE is welcome to join in and play a part, however small. This could be anything from spending an hour once a year helping on a stall to standing as chairperson in the new school year, at our AGM, held in October! The help we need is variable, no experience necessary! It may be that you are unable to offer practical help but you have skills that we can utilise, for example, fundraising skills, computer skills, negotiating skills and more! We welcome your input and ideas. IF YOU OR ANYONE YOU KNOW can help in any way….PLEASE contact us. 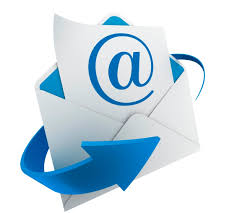 We meet monthly, and announce the date via the Willows Facebook page, by text and the weekly newsletter. Gemma Steele – Gemma has two daughters in School and one looking forward to joining in September. She has experience working in schools and nurseries and is excited to raise money and smiles at The Willows! Heather Jenkins – Heather has two daughters in Year 5 and Year 1 and works in the NHS as a Community Support Worker. John Whittington – John has two children at The Willows and has volunteered for the PTFA for four years in various capacities. He is an ex-publican and currently works as a medic. He is a passionate believer in empowering children through outdoor learning. Suzie Elson – Suzie is the PTFA Minutes Secretary – an important job when meetings are so busy! She has a daughter in Reception and another in nursery who is looking forward to joining The Willows. As a Design and Technology teacher in a secondary school she also brings planning and a hands on attitude to the team. Jackie Taylor – Jackie is the Assistant Secretary and Gemma’s mum. Her role involves writing letters to keep everyone informed. Zoe Blake – Zoe has two children at the Willows in Years 3 and 1 and an older daughter at Kemball school who left in Year 3. She has a background in hospitality and accounting. Elena Bradbury – Elena is Assistant Treasurer and has two children at The Willows. She has experience in finance and currently works with the team at Staffordshire University. She’s enthusiastic about providing opportunities for our pupils. Sonya Jukes – Sonya has three children at The Willows. She currently works as a Play Therapist and is a friendly, enthusiastic member of the team. Sionagh Davis Phillips – Sionagh is the mum of three girls currently at The Willows and a son Loki who is looking forward to joining us. Hard working and friendly you will often find her at Smilie shops and events. Pete Donlon – Mr Pete is a well known face in the school. He is the site supervisor and is always on hand to advise and help with many practical tasks. Amanda Ball – The Assistant Head at the Willows and our teacher representative on the committee. The PTFA relies upon the continued support of our parents, grandparents, friends, staff and volunteers. We warmly welcome anyone who wishes to join us in order to continue to support and enhance the educational experiences for the children and their school. We supplement the school educational resources and provide funding for numerous items. We provide extra-curricular experiences and activities by contributing to the cost of school trips and visits by external groups. We encourage parents, grandparents and friends to get involved in school activities by supporting and holding events. We run a series of events throughout the school year, primarily to raise funds, but also to provide fun and family focussed times, bringing our community together. Our fundraising is not solely from events we run, but also from support from local businesses and through grant funding. Our main annual events are Christmas and Summer Fayres. End of year discos, including leavers’ disco. We also provide refreshments at most of the school events such as parents evenings, sports days, the annual fun run and we are of course responsible for running the Smiley Shop, the reward system for all children at The Willows. We always welcome new ideas, we wish to expand our committee and our band of volunteers, so please consider giving us a little of your time, however small, to help our children.